We manage the Essex Global Environmental Opportunities Strategy (GEOS) to harness many inter-related mega-trends, based on economic and environmental stresses. China is a very good example. As the country continues to mature, domestic consumption rises, and contributes more to GDP, as basic manufacturing and related exporting gives way to more a more service and technology-led economy. Do not under-estimate China - they are now dominant in solar panel manufacturing, and this pole position was had in under six years. China must fast track clean tech, and enforce environmental laws because the economy has reached a 'tragedy of the commons' (reference to Garrett Hardin, University of California, Santa Barbara, 1968). Environmental degradation is hindering economic growth, and quality of life. 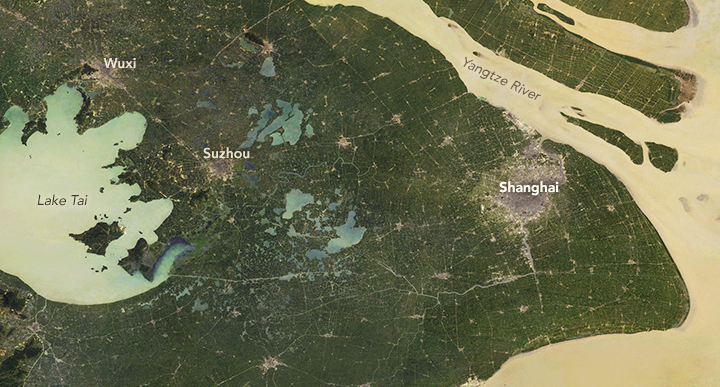 Compare the top photo of Shanghai, taken in 1988 with this photo, also taken by NASA, but in 2017. This urban density is indicative of how China will be producing growth in the coming years - a services based economy, with a related increase in domestic consumption. This cannot be done without harnessing clean technologies, and China intends to lead the way, with wind and solar, LED lighting, smart grids, water technologies for purification and treatment, and the electric vehicle (EV). Last weekend, China had an infrastructure conference in Beijing, called the Belt and Road Forum. The General Secretary has made it clear China will lead the clean tech revolution, and his intent is clear in his comments: “We need to seize opportunities presented by the new round of change in energy mix and the revolution in energy technologies to develop global energy interconnection and achieve green and low-carbon development." I think the U.S. can continue to play a major role in clean tech, even given the willingness of our President to support obsolete technology, but China will be a clean tech development and deployment force.